This is a short summary of where we were out and about leading up to 21 November 2014. Dave and I headed to Mossel Bay to spend the night at Aqua Marina before going to Sedgefield to have lunch with my mother-in-law. That evening we had supper at Route 57 and the following morning we headed out and about to the Outeniqua Farmers’ Market. We had wanted to get oysters but the ladies were not there. We did however get some amazing blue cheese and a very ripe brie cheese as well as some bread. 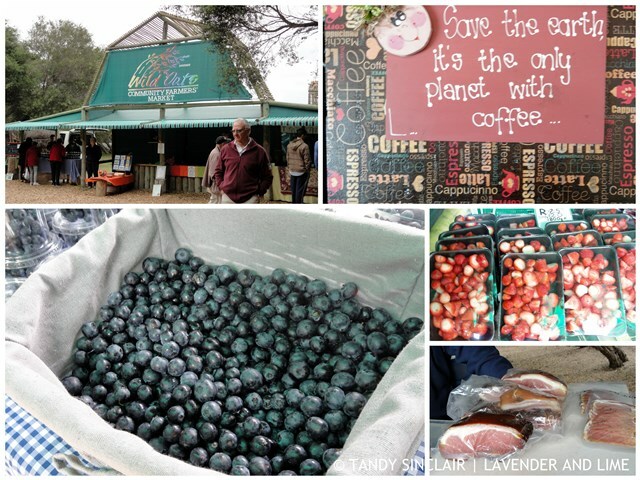 As we had not found everything we needed for lunch at the Outeniqua Farmers’ Market we stopped off at Wild Oats which in my opinion is the best farmers’ market in the country. We bought fresh blueberries and ready trimmed strawberries as well as some cured meat. After shopping we had a single espresso and then headed off to lunch. 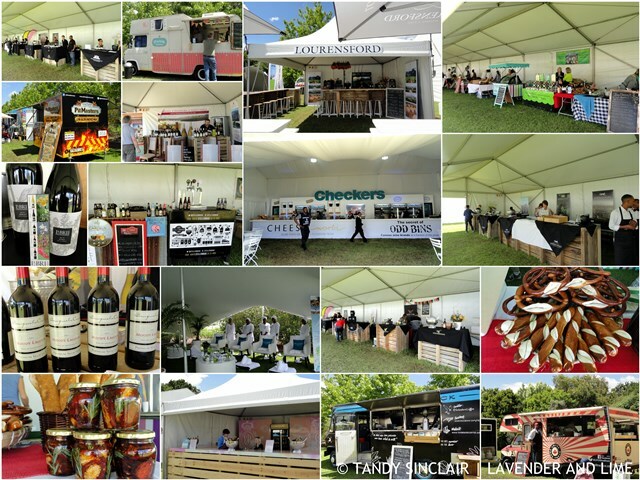 On the 16th we went to the Food & Wine Affair at Lourensford Wine Estate. (I was given tickets courtesy of Checkers from Go4Word PR). I had hoped that the farmers market would be open but sadly it wasn’t. We did a few wine tastings and I bought 6 bottles of the Lourensford Merlot 2011 as well as a bottle of the MCC rosé that was on special for the show. We arrived early and spent a very short time there but it looked like it was a great day out for the whole family. We found a few new wine estates to try, one being La Bri in Franschhoek which showcases their wines in relation to local flowers. I cannot wait to visit them at the estate. Disclosure: I was given two tickets for the Food & Wine Affair but I was not asked to blog about the event. This post is in line with my blogging policy. What a wonderful event, Tandy! I live five minutes from Australia’s BEST farmers market… we get there whenever we can and need to stock up! Oh, I wish I had a market so close to me! I am delighted to hear that you had fun on your outing. Good food and wine and cheese really make the day special. We try to hit up our farmers markets, the early start is a pain, but the fresher produce is totes worth it. Looks like you had a rippa day out. It is so worth the early start! It sounds like a very nice outing. Lovely food and wine can make any trip special. wish we had markets like these here. We don’t have enough farmers markets close by to my place, but it would have been nice to attend! This Food and Wine Affair seems classy and I enjoyed your photos! I too love browsing at the local farmer’s market…I should do it more often…I am glad that you had a great time! Sounds like you’ve had a fun few days filled with good food – and wine! Wine in relation to flowers, how interesting! Sounds like a wonderful market, mussels and wine! wow! ours just have veggies. Happy week-end Tandy! Sounds like a fun excursion! Yeah I enjoy farmer markets too. For some reason these events are still very rare. For example in my hometown in Austria they started a farmer’s market a few years ago which is held every Friday during summer. In Goa nothing like that exists, although I feel there is a need for a farmer’s market. I have only commonly seen farmer’s markets all over France, this tradition has always existed there. I so wish I could spend my money on such gorgeous looking produce! 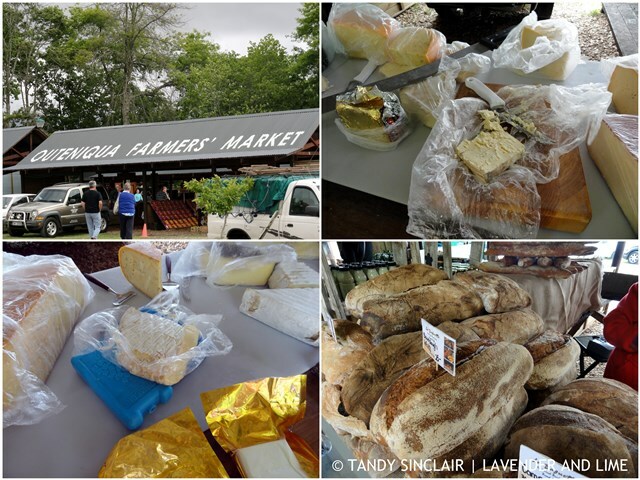 Sounds like my kind of day – Tandy – as you know I am a keen Farmers’ Market shopper! I love local farmer’s markets. They are so much livelier than closed-space supermarkets we usually end up shopping at, during busy weekdays. Your day out sounds like a great one.